OK. 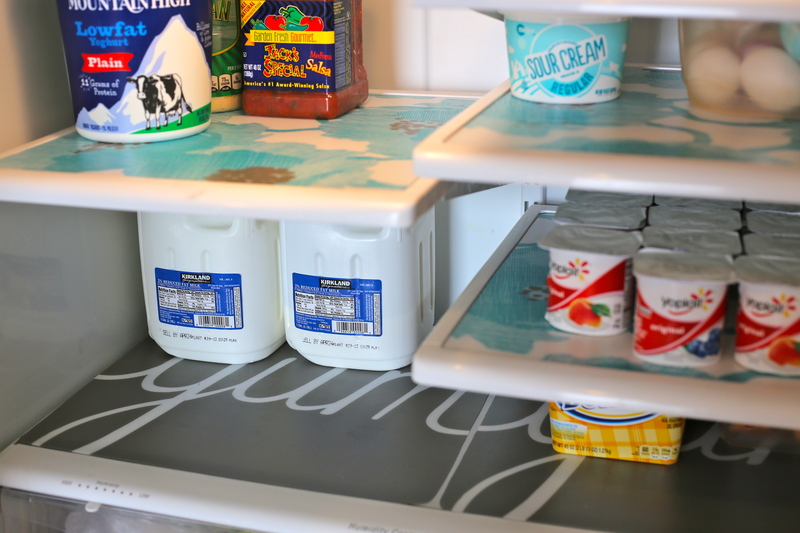 So I have a cute and super simple DIY project that I’m going to show you, but you have to promise not to laugh… cause it involves looking inside my fridge. When friends and family come for dinner, I often secretly hope they WON’T open my fridge. With six people in our family and lots of food going in and out, it seems to be a messy place. But when I take the time to pull out all of the shelves and wash them, the rest of my house could be a disaster, and I feel great about myself! I LOVE pulling open the door and finding a bright, clean and organized space! 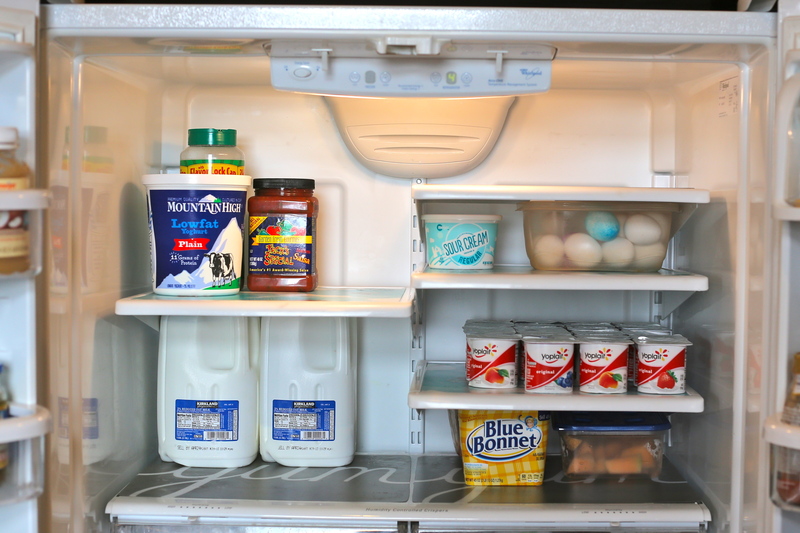 I always thought it would be so fun to open up my fridge and not only see it clean and organized, but also cute with stripes and patterns on the shelves. Alas, I couldn’t ever convince myself to spend $25 on a set of fridge liners. 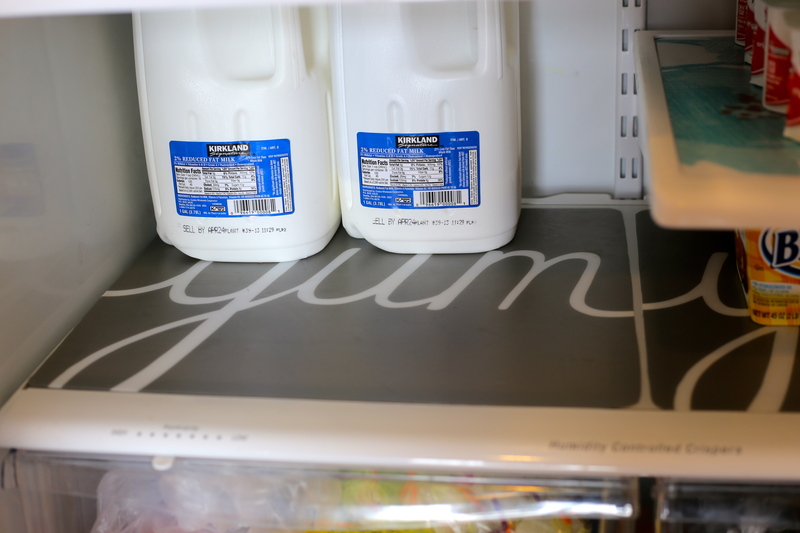 Recently, I saw an idea to create your own fridge mats our of place mats you can buy at Target. I was so excited to get this project started that I made a special trip to Target on the rainiest day in the history of spring to get some place mats. The place mats are only $2 each and come in several patterns. You simply have to trim the sides to make them fit your fridge. (I just cut mine with scissors to fit.) When you are done, your refrigerator becomes a happy place with colorful shelves. And the best part is that it makes it easier to keep clean. Instead of pulling out the shelves to wash down the inside of the fridge, you just have to take out the mats and wipe them clean. So there you have it. Fridge mats! Oh, and next time you’re over, make sure you look in my fridge! Think I need a target run ASAP! What a great idea!!!! I hate opening my fridge to see the messy shelves. This is genius! Beth, that’s awesome! The list is things that I would only buy if I didn’t care how much anything cost. But since I DO care, I don’t want my husband to buy any of those things either. HA! Emily, what a way to brighten the inside of the fridge! I think it would even make meal prep more fun. I’m so tempted to try this because of the ease of cleaning. My shelves need a wipe down! Did you do the insides of the drawers, too? Susan, I haven’t done the drawers yet, but I want to! 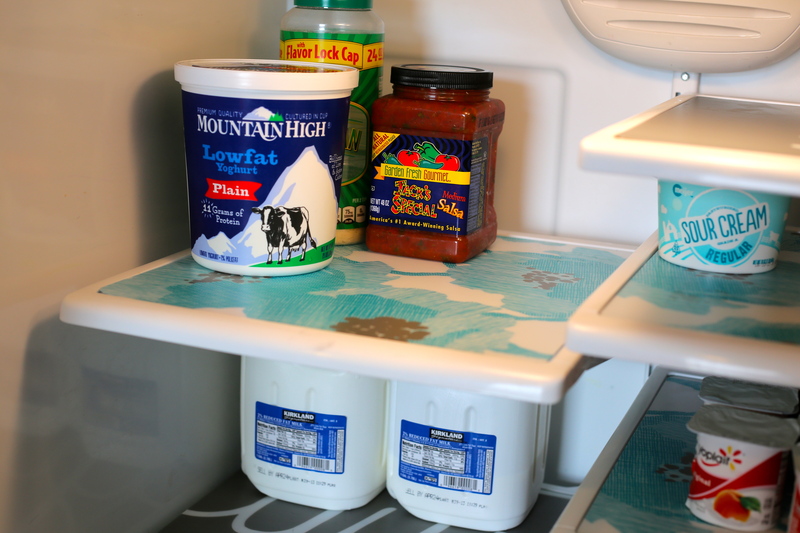 I am loving how much easier it is to wipe up spills in the fridge!